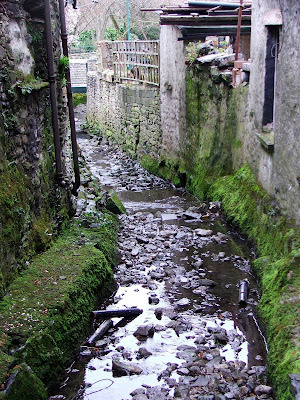 Blind Beck, Kendal, is the original boundary between Kendal and Kirkland. Between 1090 and 1097, Ivo de Taillebois gave Kendal's church and its lands (the Kirk lands) to the Benedictine Abbey of St Mary in York. 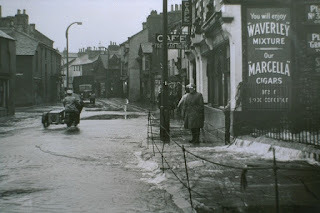 This part of the town is still known today as Kirkland, and the northern boundary is still known as Blind Beck. 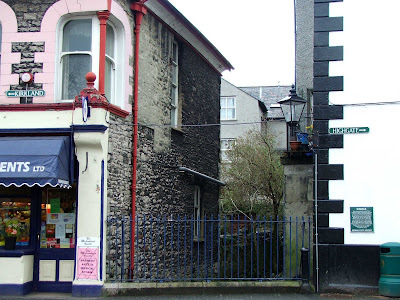 The above photo shows where the boundary between Kendal and Kirkland lies on Highate. The beck literally slices the two 'parishes' in two. Above. Blind Beck and the Kent flooding Kirkland. 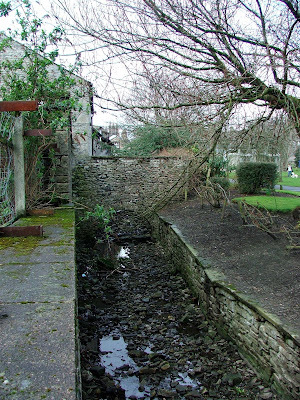 The beck rises somewhere on the Kendal fells, its source hidden and possibly alluding to its name 'Blind'. 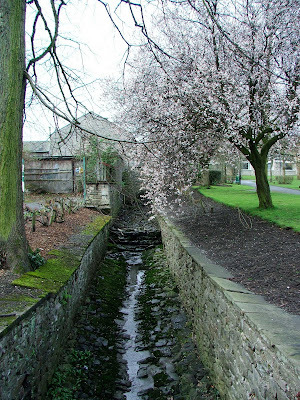 The beck flows through Kirkbarrow, the lands to the East of Abbot Hall, between the Abbot Hall carpark, and the Abbot Hall Park, and into the River Kent. 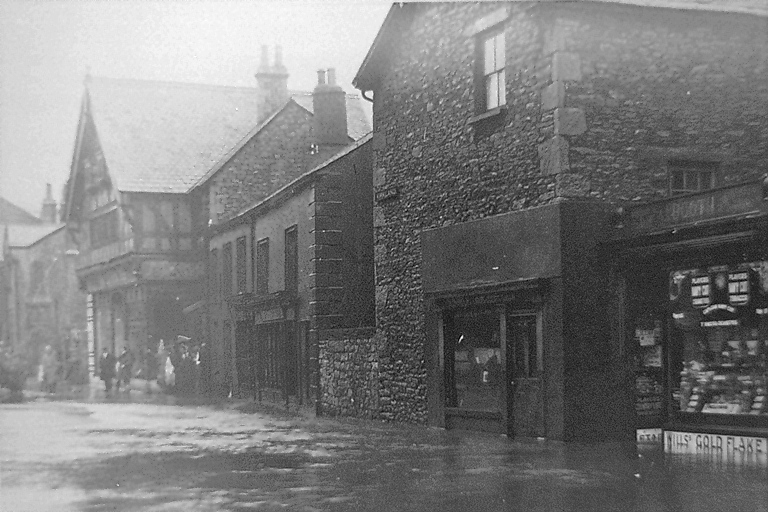 Kirkland and Kendal were at one point two seperate entities, each with its own church, and manorial centres. Kendal's manorial centre was of course the castle on Castle Hill, and Kirkland's manorial centre was (allegedly) the motte and bailey castle on Castle Howe. Goods bound for market in Kendal were subjected to a quality check before they entered the parish. 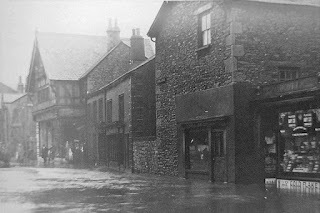 Those goods found to be of poor quality, were not permitted to be sold from the markets of Kendal, and could only therefore be sold in Kirkland. Hence the different characters of both parishes lives on to this day.